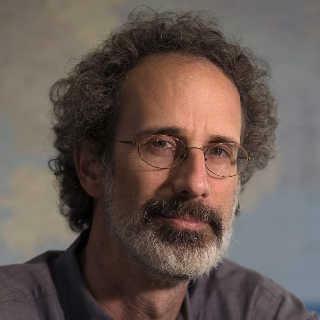 You are here: Home / Climate / BREAKING: Warmist Peter Gleick "solicited Heartland documents under someone else's name"
BREAKING: Warmist Peter Gleick "solicited Heartland documents under someone else's name"
UPDATE: Statement from Heartland here (WUWT). Climate Depot’s roundup here. In an effort to do so, and in a serious lapse of my own and professional judgment and ethics, I solicited and received additional materials directly from the Heartland Institute under someone else’s name. The materials the Heartland Institute sent to me confirmed many of the facts in the original document, including especially their 2012 fundraising strategy and budget. I forwarded, anonymously, the documents I had received to a set of journalists and experts working on climate issues. I can explicitly confirm, as can the Heartland Institute, that the documents they emailed to me are identical to the documents that have been made public. I made no changes or alterations of any kind to any of the Heartland Institute documents or to the original anonymous communication. Read the full statement here.. Confessed because he had been caught, basically. Several analysts picked up a lot of clues and guessed Gleick a few days ago. He thought he was so clever and yet everything he did implicated him. The uncharacteristic silence on the issue being the main clue. I would also add that his explanation is about as convincing as that of the famous Wiener. So he received some document in the mail and tried to confirm his suspicions and got confirmation and passed the whole lot on etc. because he was so worried and frustrated by the lack of debate and he was concerned about the children. Did he mention the children? Will somebody REMEMBER THE CHILDREN !!! That is the best he can do? That is his way of trying to deny creating a fake document? Lets just see whether there is a particular model of Epson scanner in his house, or more likely, now buried in his garden, and then see how the story changes. I note that comments are closed before they began at the Huffington Post link. No matter, HuffPo banned me after publishing my piece in 2009. I would be willing to wager that Gleick has not ended his career. Some will consider him a hero, sadly. In the meantime, I have one word for you: Eemian. Just what is it with these warmist/leftist “scientists”? Why do they consistently find it necessary to resort to underhanded and deceitful practices to promote or defend their doctrine? Funny isn’t it? They’re completely incapable of detecting the irony. The Age ran 3 hysterical pro-warmist articles about the HI documents. All presumed the authenticity of the documents. The Age should now fess up and retract. HI should sue The Age. The Age has made a fool of itself as a media voice in the “climate change” debate. It has no credibility on this issue because of its parroting of the Fakegate document content. Below are the links to the Age articles in question. The 3 articles have been updated to remove usages of the faked document content. But there is no acknowledgement of the incorrectness of the original articles where they quoted from the fake document. Time to fess up that you were duped The Age or that you didn’t care because you were so lathered up to spurt you warmist rubbish that you couldn’t hold yourself back until checking facts. Interesting the Financial Information that’s available on The Pacific Institute’s website, of which Peter Gleick is a co-founder and president. Complete with donor grants found on page 10 of this pdf document, as well as payments to program consultants totaling over $400,000 found on page 4! Gleick has previously testified to Congress on the need for integrity in science, as well as hectoring all and sundry about it. One warmist blog is portraying him as a heroic whistleblower, forgetting the head explosions they went through at the Climategate leaker. The Left/Green stands for many things; rank hypocrisy is one of the more visible. Surely HI has a legal case against Gleick. I hope they pursue it to the fullest extent of the law. I hope Heartland Institute hauls Gleick into court.